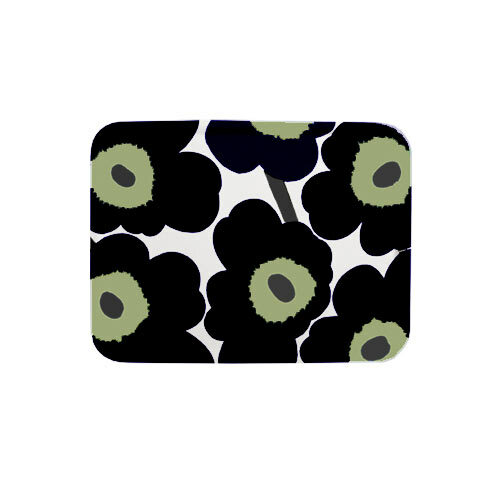 More about Marimekko Unniko Black Small Tray A bustling bouquet of flowers fill the surface of Marimekko’s Unikko Mini Tray to add a fun floral print to your home or office. 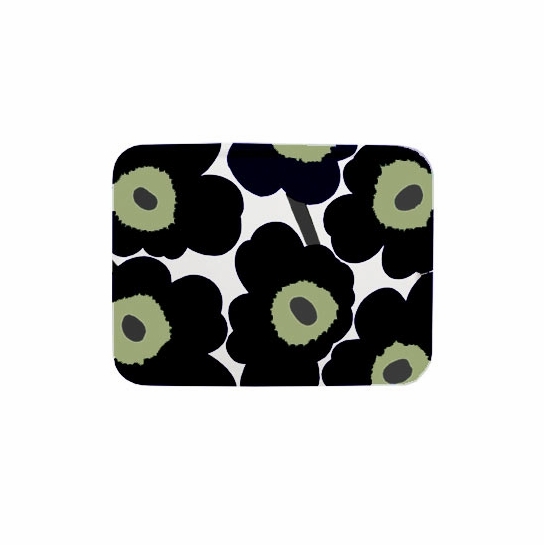 The original Unikko design was created by the brilliant textile designer Maija Isola in the 1960’s. 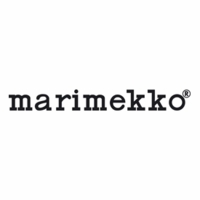 A visionary who was ahead of her time, the Unikko print has been one of Marimekko’s most popular patterns. Made out of plywood and fabric, this tray is lightweight and able to accommodate a variety of items from heavy to light upon its surface. Leaning against the kitchen backsplash, this is a real eye-catcher. I wish that the centers of the blossoms were more green than khaki, but this is still exactly the kind of thing I wanted for a small, dramatic item. Love this little tray! It is currently being used as my fruit tray, but would it would be great for serving treats to guests. It adds a great, bold pop of pattern to my kitchen! How do you clean this tray? It's fabric on wood. 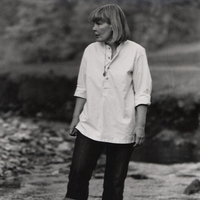 Can you run hot water over it? If candle wax dripped on it could it be washed with hot water to melt the wax? The tray is laminated for easy cleaning. You can use soap and water on this to clean.